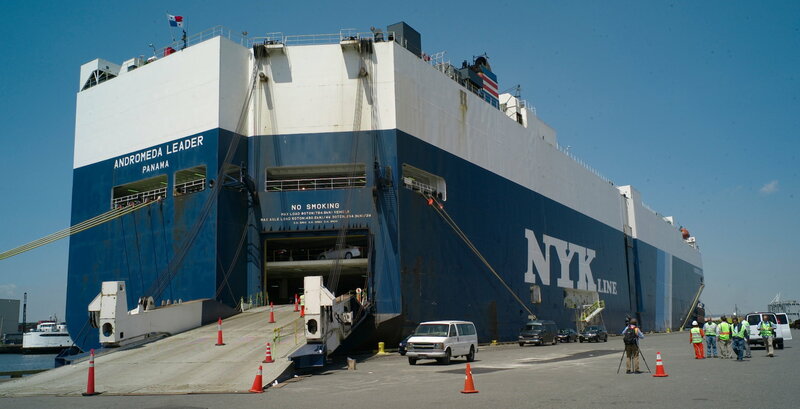 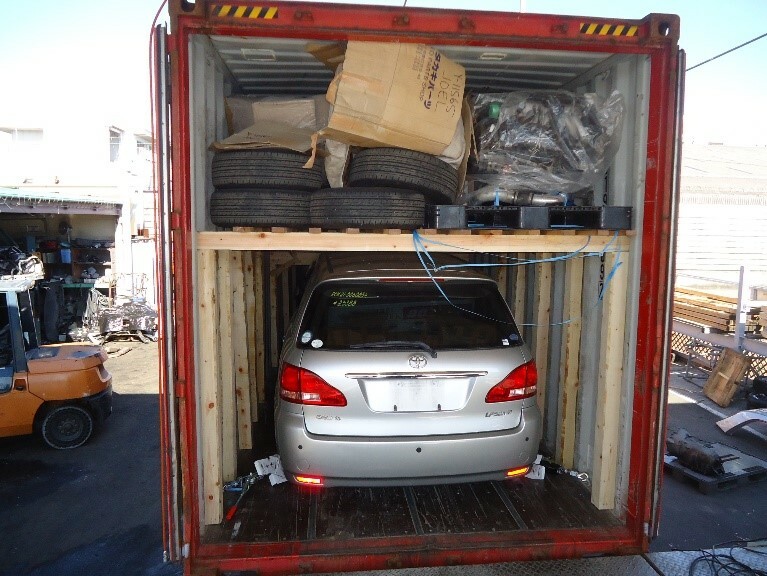 Container shipping is more economically reasonable since we can load not just cars, but also car parts and any other goods purchased either from Japanese Yahoo! 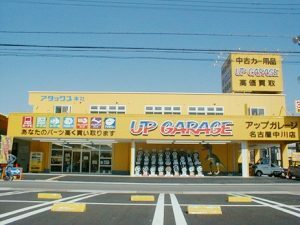 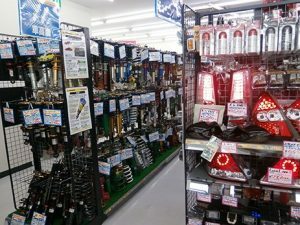 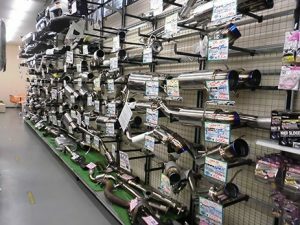 auctions or Used Car Parts Shops in Japan (Up Garage). We can load 4 cars into a 40 ft. container or 2 cars into a 20 ft. container. 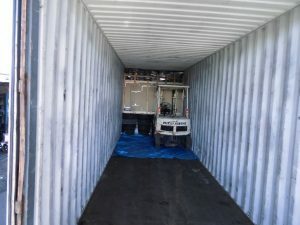 Some over-sized vehicles such as cranes or large wheel loaders may require a 40 ft. high type container. 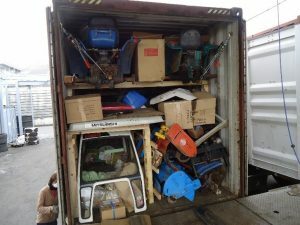 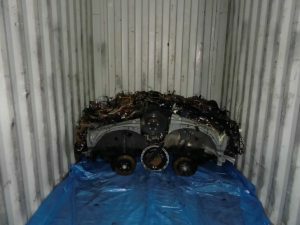 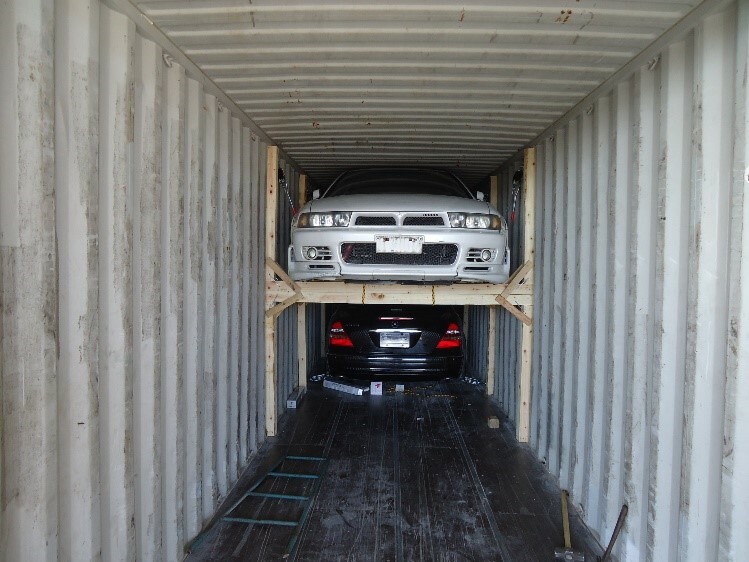 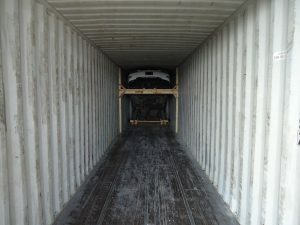 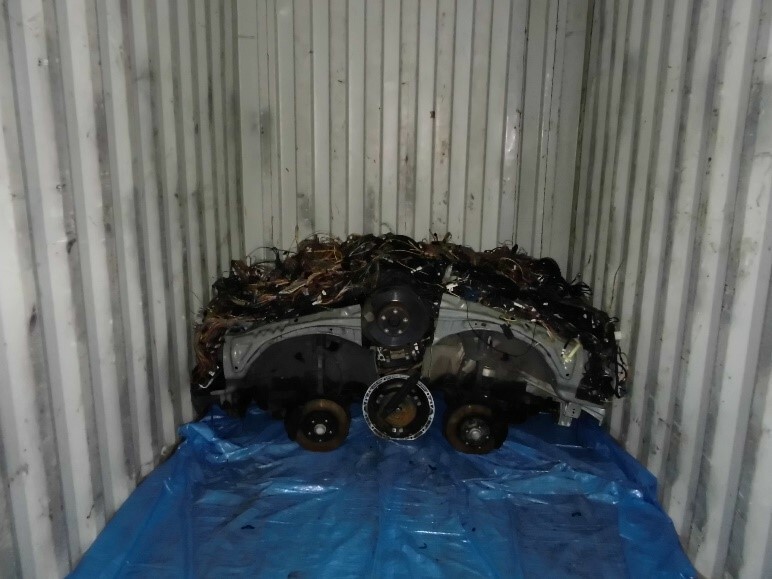 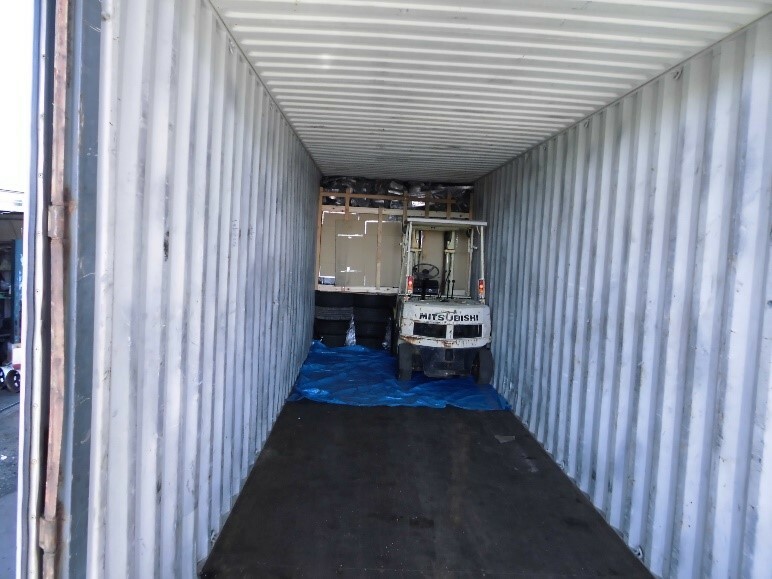 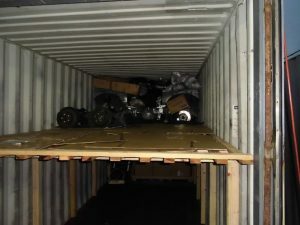 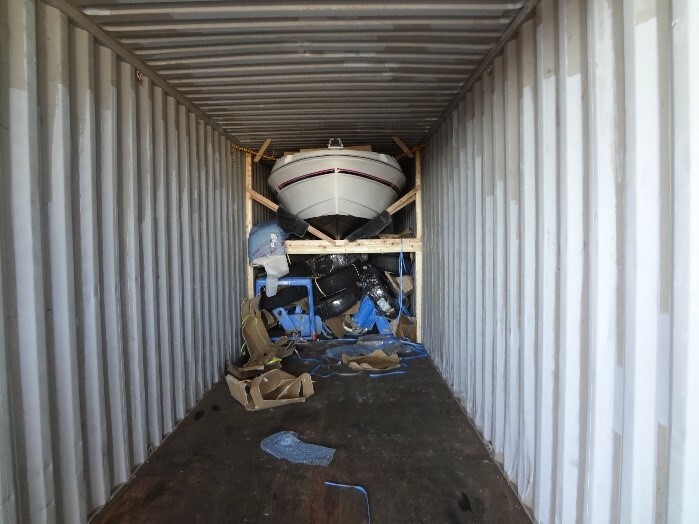 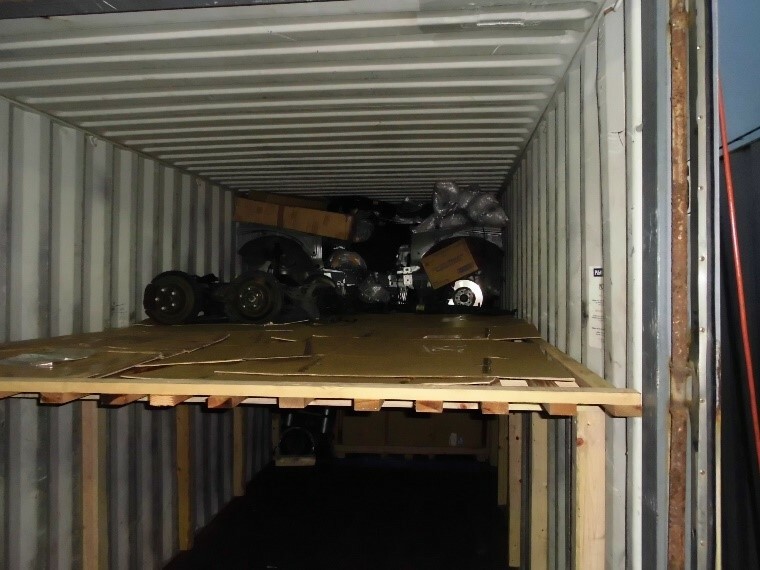 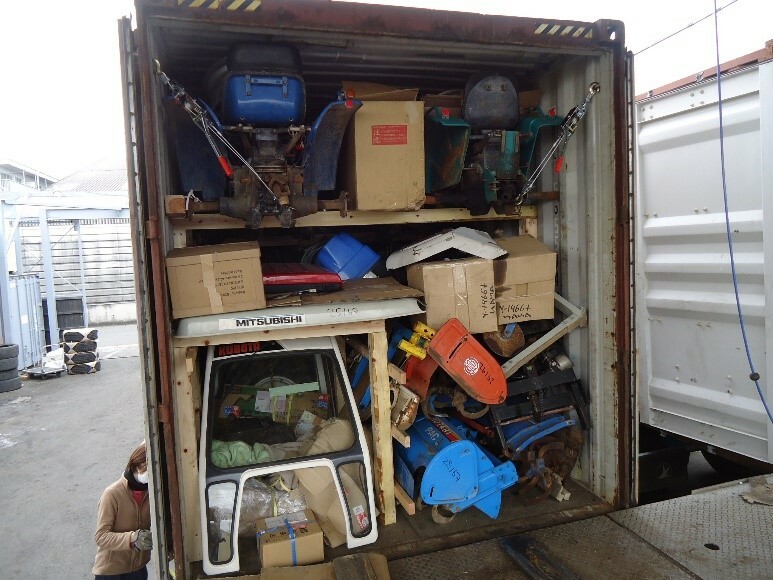 A mixture of cars, car parts, goods and dismantled cars is also great option while shipping in 40 ft. containers. 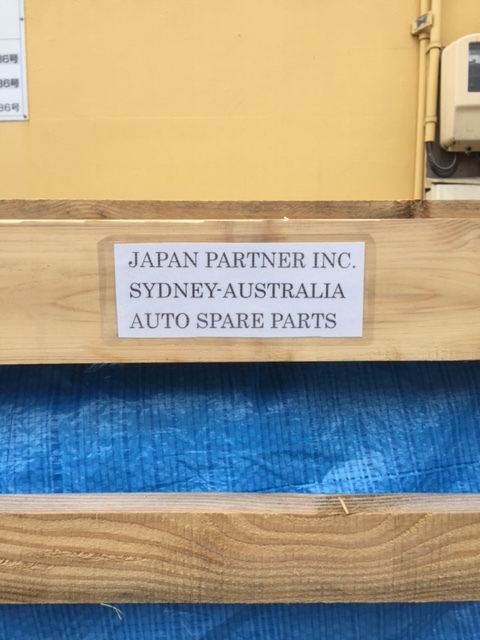 To guarantee a safe shipment, we construct special wooden stand for each wheel of the car to be loaded and firmly fixed on each wheel. We lift-up and fix large SUV type vehicles on solid wooden frames and load sedan type casr under the lifted up SUV. 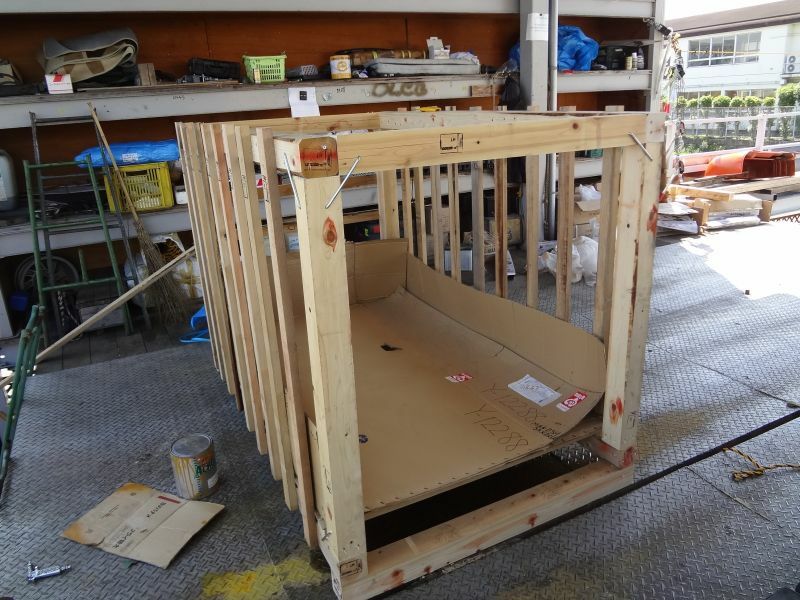 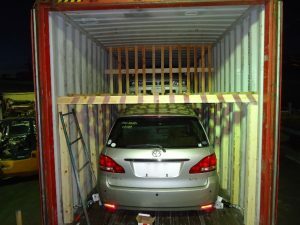 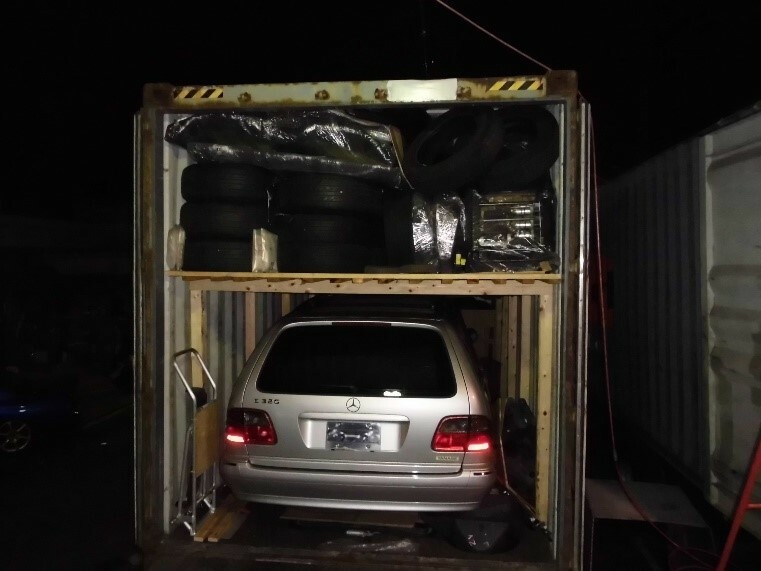 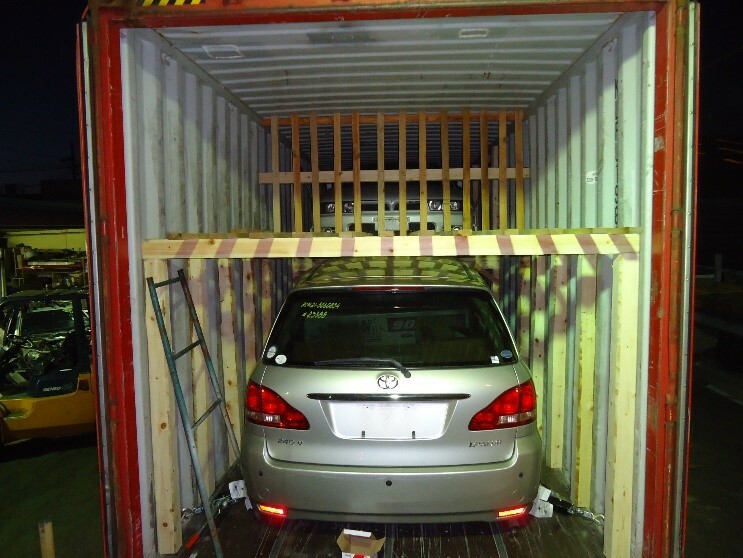 Once all cars are loaded into thecontainer, we construct a solid wooden frame and load goods and car parts in a cell to secure the cars from damage and to guarantee a safe shipment. 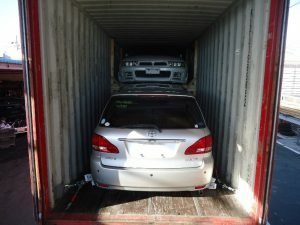 Depending on the order of the customer, we can load cars, dismantle and load car parts, as well as load Yahoo goods in empty or free spaces of the container. 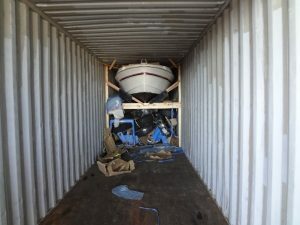 Oversized vehicles, boats, tractors and forklifts need to be loaded with careful attention, thus we construct a solid wooden frame to firmly fix low height boats and underneath it load engines, transmissions, steering and other heavy items. When we load several forklifts, we disassemble the fork and counterweight from the frame of the forklift and load them separately. RORO is an abbreviation for Roll-On/Roll-Off, and is a shipping option for wheeled cargo. 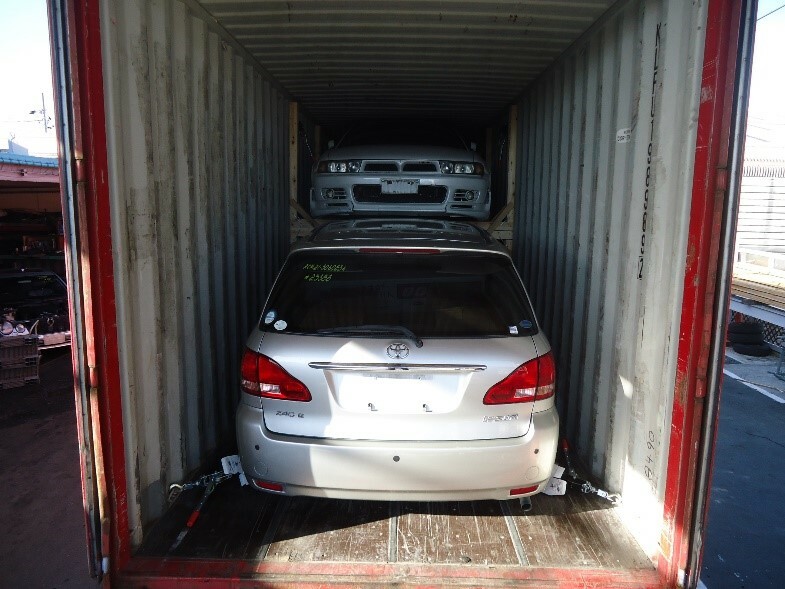 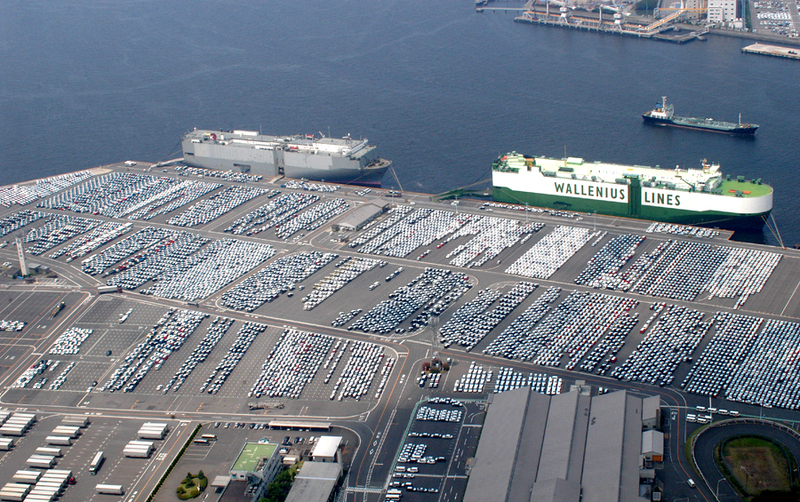 In other words, cars can be taken to a shipping port and loaded into a specially designed vessel for RORO shipments. 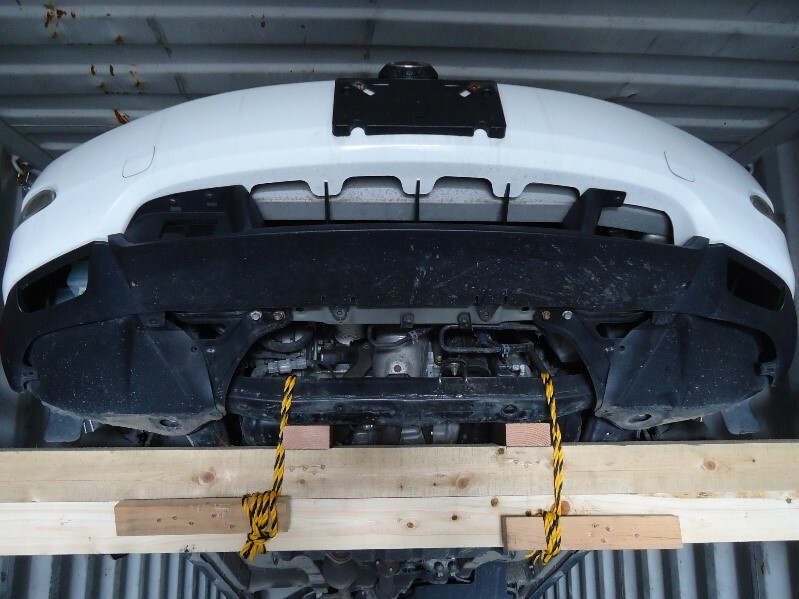 It also doesn’t guarantee that body parts (headlights, tail lights, grills and others), and expensive interior (audio devices, panels and others) will not be stolen. 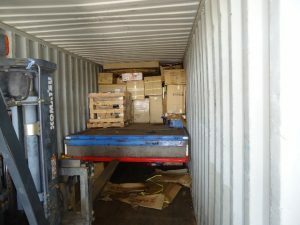 LCL is an abbreviation for the term Less than Container Load. 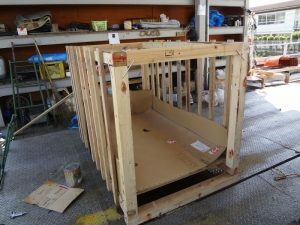 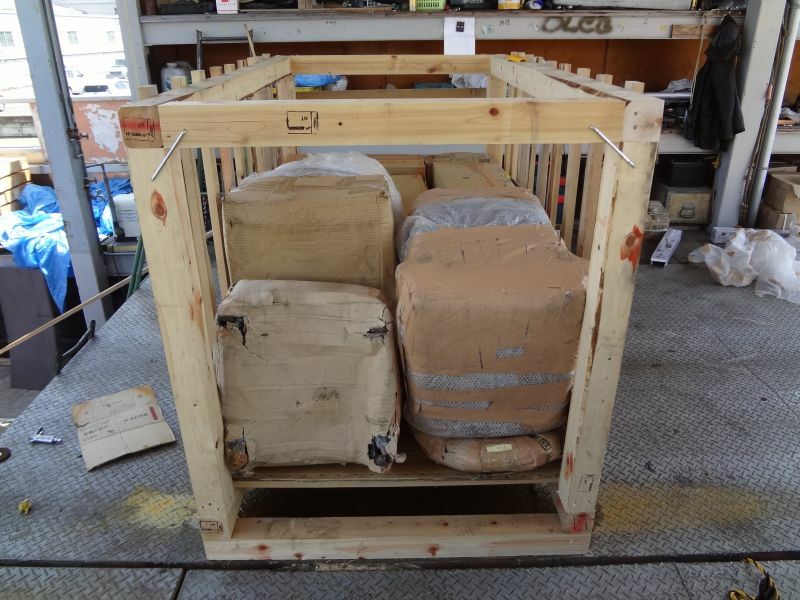 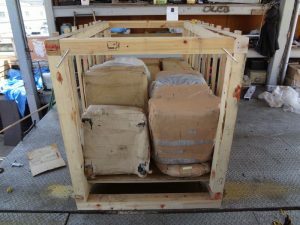 When we purchase and ship part and goods only, we make a wooden crate and load parts and goods, and share the space on the container with other similar cargo. 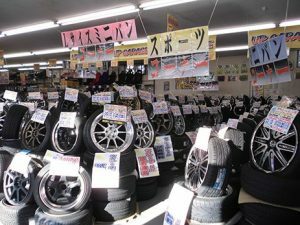 This mode perfectly fits customers who just started their business. 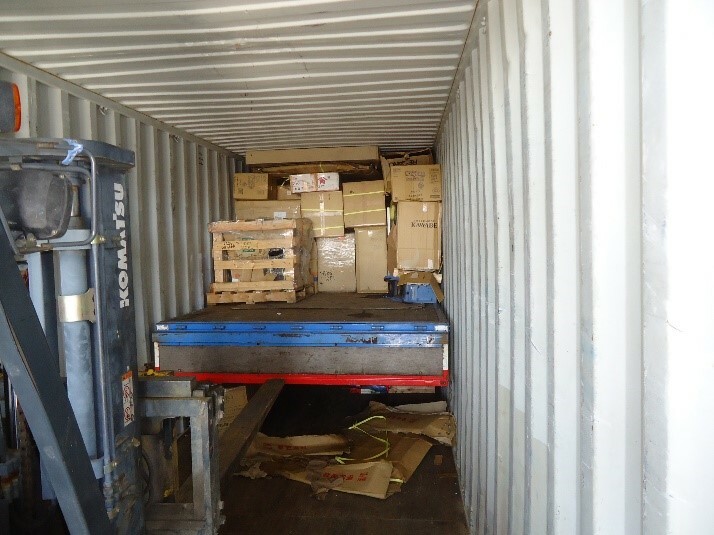 Once sales of such customers increase and they start purchasing parts and goods in a bigger quantity, we can load parts into either 20 ft or 40 ft containers. 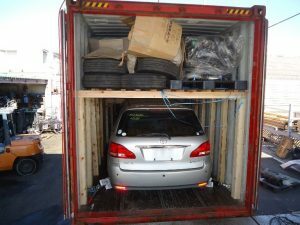 For example, cars with rust and repair histories are not allowed to import to New Zealand. 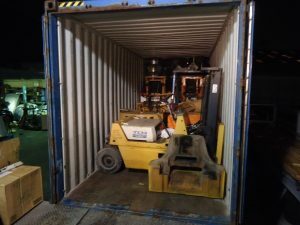 When shipping anything, you need to know about and use the right container. 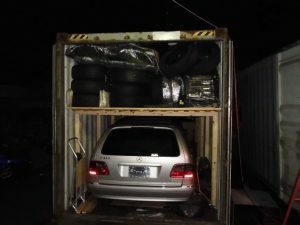 With a car, you should use something like this which would protect it. 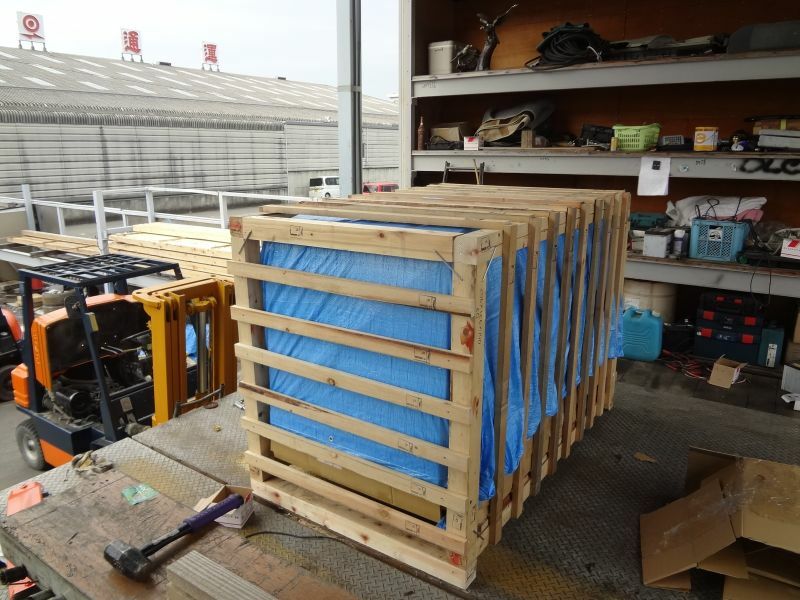 If it’s something smaller, then you’d probably use a wooden crate or something similar.